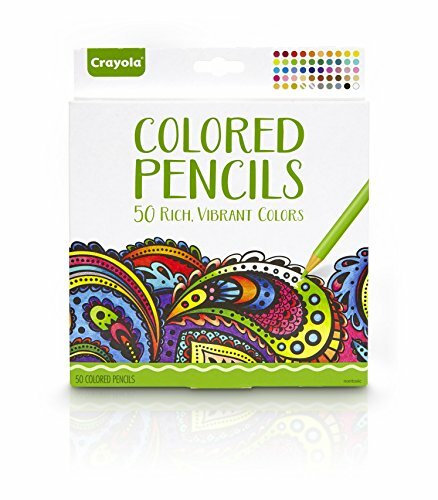 Crayola colored Pencil: This set features 50 rich, vibrant colors that highlight the details of every coloring book and art project. Presharpened colored pencils: keep your imagination flowing with these presharpened colored pencils, which arrive ready for use. Great for kids & adults: The color selection and quality of these Crayola colored pencils make them great art supplies for adults and children. Durable colored pencils: these long-lasting color pencils are great for art projects, school assignments, and coloring books. Safe and nontoxic: ideal for age 12 & up.